Each Thrift Store Website comes with several form pages already set up (you can always add more form pages at anytime as well). To get started go to your Form Page and click on the Edit Special button. Start by giving your form a Name. This name will appear in the "Subject" line of your email. Next you will enter the email address you would like the form sent to. 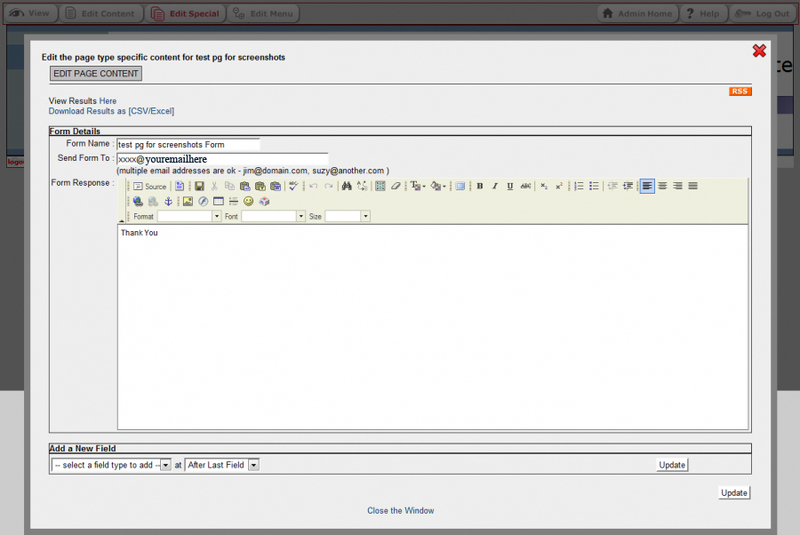 Next you will add a comment that will auto-respond back to your client when they finish the form submission. 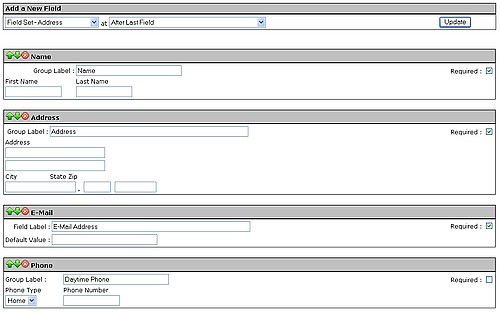 Next, start adding your fields; start by selecting the field you need under Add New Field. 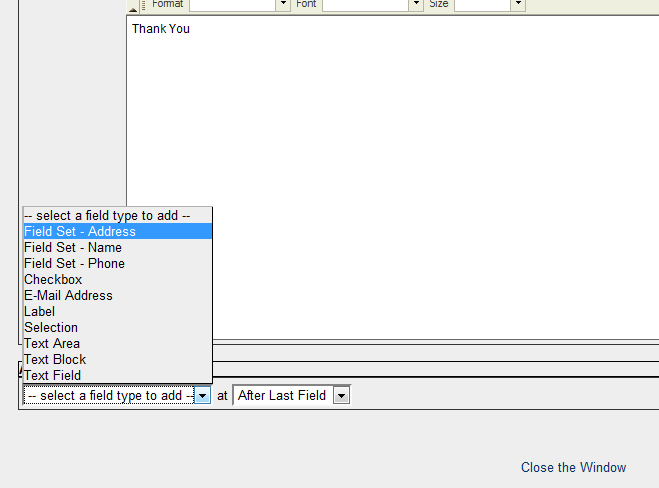 (Hint: visit one of our forms to help plan for the order you want the fields to appear in your new form). You can learn more about the different fields to choose from here. Start by selecting Add a selection list. Then give your list a Field Label. For Choices type in each name followed by a vertical line separator (the pipe key). The key to making selection lists is to separate each item by a vertical key stroke using the pipe key on your keyboard (the one under the "Backspace" key which creates the "|" type face). You can add as many choices as you would like for names, terms, Months, Years or any other list. Set the Default value to "a"; your prompt is "Select One"; the list size is "1" and then you can select from a list, radio buttons or check boxes. Try all 3 kinds of lists to experiment with the one you like best or try a variety as needed. Click on Update, then close the window. Now try out your form for yourself then check your email for the final review of the results. Last but not least: To add text instructions at the top of the page for your site visitors, go to Edit Page and you can add text just like any other standard web page.